Have you been thinking about writing a novel? Are you fed up with watching it spin around in your mind like so much laundry? Well, me too! And I’ve come up with a solution. It’s not something entirely new. NaNoWriMo and crew thought of it first a la NaNoBlogMo on Blogger.com. The idea is to write your novel online. Now I’m not talking about buying some kind of fancy shmancy software package that will help you design your plot and characters. (I’m sure those are great, but somehow I think most of that stuff falls into the category called “Procrastination.”) I’m talking about something much more organic than that. 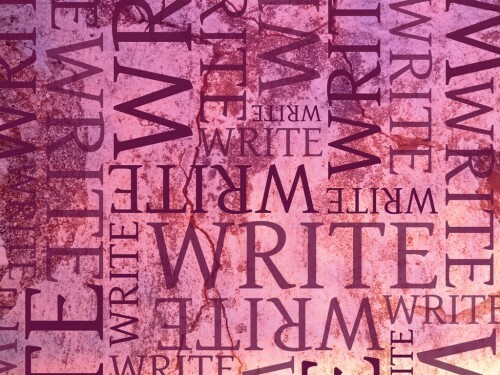 I’m talking about writing yourself an email everyday that furthers your novel or really any writing project you may have – memoir, screenplay, essay, you name it. Here’s where I had my epiphany moment. I’ve been emailing a lot lately, getting back in touch with a few old and some new friends. I probably spend a good hour, or maybe even two thinking about and composing these emails. Then I read an article by Anna Quindlen called “Write for Your Life.” Basically she talks about the lost art of letter writing and tells the story found in the new movie “Freedom Writers.” In the story young “at risk” youths are saved by a teacher who encourages them to start a journal. This started me thinking about all my emailing lately and how I miss the long hand written letters I used to write. But mostly it made me think about how I could combine my love for letter writing with reaching my goal of writing a novel. When I found out that you can post to your blog via email, BANG! The idea struck! Why don’t I write myself an email each day with a little more of my story (aka my novel)! I can pretend the audience is whoever will provide the best motivation. So I have set up a blog just for this purpose. You should too! Get writing! This is wonderful idea. Funny I just finished a long email to a friend. I know exactly what you mean about spending quite some time writing emails when it’s hard to just get down and put in as much time and focus into writing your own story. I love the idea and I’m gonna give it go. I actually just googled, “writing your novel online” and it brought me here. Godspeed. @Lux – That’s awesome! Good luck! Check back and let us know when we can read some of it!! I wanted to be a writer. I am searching for sources for the best platform to write a novel & publish it. But I found this lithasa http://www.lithasa.com/ which says you can earn and build network when we start writing our first chapter. And they have created a new publishing model. And they say, we can start marketing our book from day 1 And we could sales starting from that point. They are looking for writers. So I would like to know more about it. Let me know.